Let's kick off the new year with one of the best ways you can build your business through 2016. I'm talking about referrals and the strongest referral pipeline you can get as a mover is real estate agents. Take full advantage of this awesome resource with a few strategic steps! If you want to tap into that deal flow, I have a few tips that can help. Keep in mind - Referrals are a marathon, not a sprint. They take time to cultivate, but are totally worth it in the long run. Identify agents in your area who are doing a lot of business. For good reason, these are your top referral targets! Give each person on your sales team the goal of building 10 - 15 realtor relationships. Use Modern Tools To Connect - Jerry A. Kussy, vice president of lending at Liberty Bank for Savings recommends looking for connections online using LinkedIn, Facebook and Twitter. Break the ice with a few "classic" approaches: Outreach materials & email sharing your services, presenting at realtor meetings, attending realtor events, and bringing breakfast (or snacks) for the office. HOT TIP: FIND OPPORTUNITY IN EVERY MOVE! 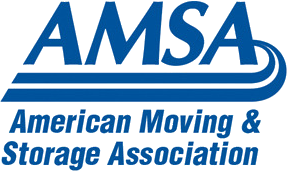 Piet Gauchat of Olympia Moving and Storage shared this gem at a recent conference: "Every move has a realtor associated with it." Simply put, you can create a realtor relationship through regular jobs! Identify the realtor involved and reach out to them BEFORE the move. Promise to take good care of their client and follow up after the move. That simple gesture will put you on their radar. Getting your first referral is just the beginning. Keep those jobs coming with a focus on customer service. 1. The move has been scheduled. 2. The move is on time (or not). 3. The move is completed. It's just a few minutes of your time but a little outreach will show you’re going above and beyond for the agent and their client. Realtor referred jobs should always get VIP treatment because they represent countless future jobs! Keep your team in the VIP loop. Everyone should know it’s a priority job. If you make a mistake, own up to it immediately and make it right. Say thank you to agents who send you business. It can be a hand written "thank you" card or chocolates for the office. Mix it up! Remember, realtor referrals aren't just about free food or a friendly face...They are about building TRUST through real relationships. It takes time to create these connections, but the rewards for your effort are high.